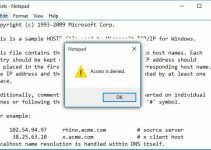 Some Windows users have reported facing the error 0x80071ac3 while connecting an external file storage system like a USB stick or a hard disk into their computer. 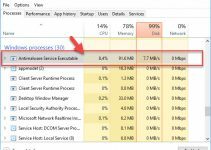 The error 0x80071AC3 often occurs by the ReadyBoost feature, it makes your operating system can’t access files due to bad sectors on the hard disk or external hardware. 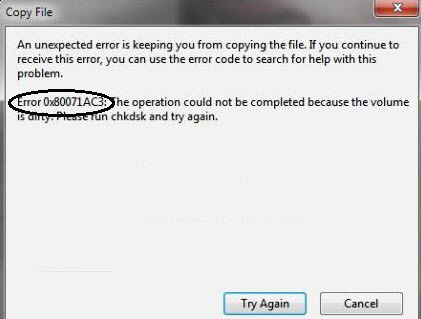 The error code 0x80071AC3 can also appear up due to faulty device drivers or incomplete. If you are using an old external drive, you’ll get error messages ‘Volume is dirty‘. So in this tutorial, I will share a few solutions to solved this error. Step 1. Go to My computer. Step 2. Then, you right click on the external USB flash drive and click Properties. Step 3. Move on, you select the ReadyBoost tab and select “Do not use this device” then accept the changes. Step 1. Open administrative Command Prompt. To do that, right-click Start button, select Command Prompt (Admin). Step 2. Then, you type chkdsk x: /B and hit Enter. Step 1. First of all, your download and install the Diagnostic. Step 2. Then, you right click on the disk drive that is causing errors and click Properties. Step 3. Next, you select the tools tab and click on check. Step 1. You press Windows key + R then type regedit and hit Enter to open Registry Editor. Step 3. Then double click “WriteProtect” string, you set its value to 0. Step 4. Click OK and exit Registry Editor. Then restart your computer. Step 1. First of all, you press Windows key + X then select the device manager. Step 2. Expand the top node in the window that opens. Step 3. Next, you right-click your External Hard Disk or USB Flash Drive and select Uninstall option. Step 4. Once the device is successfully uninstalled, you restart your computer. Step 5. After restarting, you open Device Manager again. Step 6. Right-click the top node then click Scan for hardware changes. Step 2. Next, right-click on the External Drive / USB Flash Drive and click Format. Step 3. Then select ‘Restore device defaults‘ and click Start. Step 4. Once a new window opens, you click Yes to confirm the process. Depending on the size of the hard disk, the process will take a few minutes. A confirmation message will occur once the format is complete. 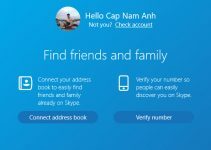 This solution will resolve the error 0x80071AC3. These are 7 solutions that should definitely fix the error 0X80071AC3. If you have any other Windows related errors you can check for the solution in my Windows fix section. Thank you reading this tutorial.